The 50', black, 14 AWG Milspec Pro Power SJTW Extension Cord is made of soft-drawn, bunch-stranded copper conductors with large strain reliefs at both ends for enhanced durability. 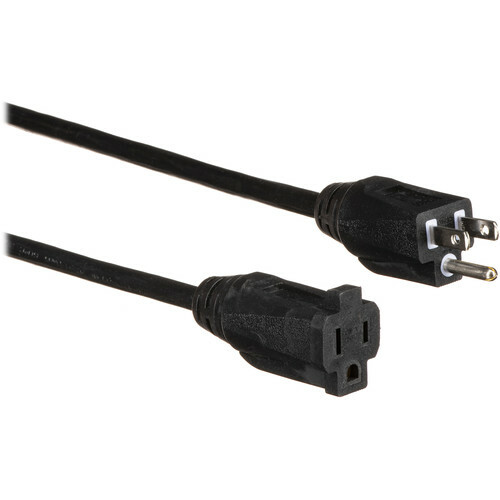 This 50' 3-pin male to female extension cord is manufactured with cold-weather insulating and jacketing compounds. Box Dimensions (LxWxH) 12.45 x 12.3 x 2.15"